How do arts festivals help us re-imagine what we have ‘in common’? In Common is a research project with arts based action research approach at its core and represents a partnership between the Sir Bernard Crick Centre at the University of Sheffield and Arts and Society. 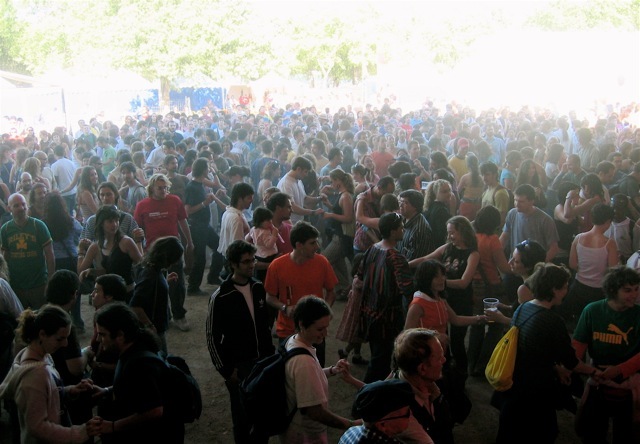 We have a mutual interest in the function of festivals as political spaces that can nurture collective thinking, shared values and collaborative behaviour and are intending to work with a diverse range of festivals in Wiltshire and Yorkshire. We are interested in understanding the role arts festivals play in promoting and embedding forms of active citizenship and pro-social behaviour across society. Creative interventions such as the Story Tea Tent, Creative Gatherings and creative ethnographic story collection will sit alongside and inform more traditional research methodologies.